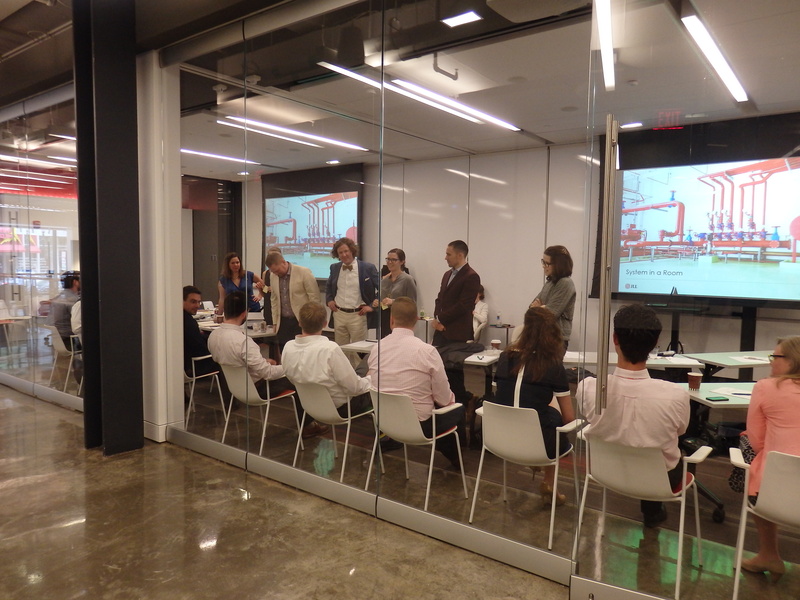 The 2014-2015 class of the Christopher Kelley Leadership Development Program wrapped up a successful second year with a closing reception held at the District Architecture Center on Friday, May 8, 2015. The reception began immediately following the final class session, with a theme of optimistic celebration as scholars were inspired by the future of the practice. Invited guests included current and past scholars and their family members, as well as speakers and sponsors from the 2014-2015 program year. Future candidates were also encouraged to attend the reception to meet the organization and become more familiar with the aspects of the program. After some time to enjoy the refreshments and partake in socializing, program Co-Chair’s Ryan McEnroe and Sean Stadler made a short presentation to the crowd, which included a tribute to the late Christopher Kelley, acknowledgement of the AIA board support and the benefactor sponsorship. Special thanks were also noted to the firms, speakers, and suppliers who continue to support the program each year. 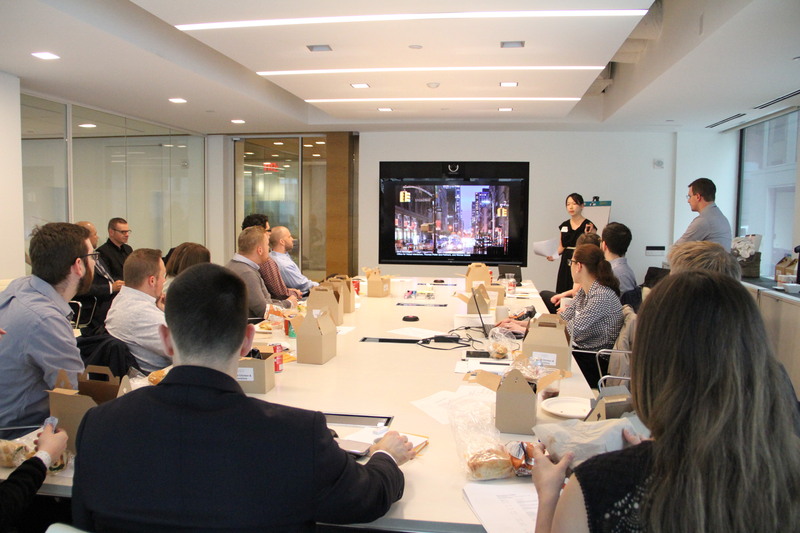 Before the scholars were presented with their certificates of completion, Emerging Professionals chairs Ricardo J. Rodriguez and Abigail Brown gave an overview of the AIA DC Emerging Professionals committee, and encouraged all emerging professionals to continue to be involved in the local chapter. As Steve White called each of the 16 2014-2015 scholars to the podium, a certificate of completion was presented to each individual with congratulations made to the entire class for their successful year in the program. On a final note, the 2015-2016 schedule was reviewed by incoming program Chair Aimee Woodall, with specific attention to the upcoming call for applications and application deadline. 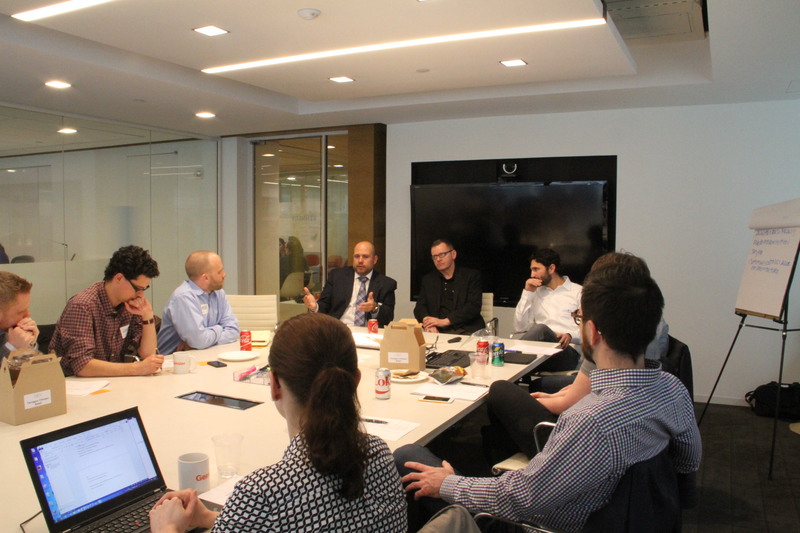 It was clear that the Executive and Advisory Committees for the Christopher Kelley Leadership Development Program shared great enthusiasm for the success of the outgoing class and even greater optimism for the future 2015-2016 class. 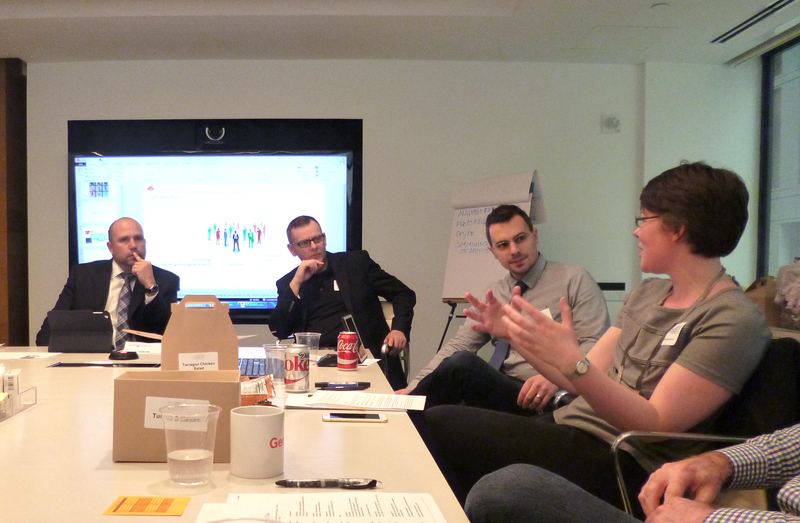 The Seventh session of the Christopher Kelley Leadership Development Program (CKLDP) was held at Gensler on a beautiful sunny spring day. John Schippers and Beth Barrett planned a full session of speaker presentations exploring Industry trends in architecture that encompassed the areas of technology, process, and sustainability. Wanda Lau, a senior editor of technology, practice, and products for ARCHITECT magazine began the session with an overview of the most innovative projects from the magazine’s R&D Awards. Wanda identified the following trending themes in architectural innovation, Pre-fab and modular construction, Urban Infrastructure, Made to Order, Additive Manufacturing, Material Exploration, and Code Rewrite. Although all of the projects were intriguing we can only highlight a few. Afterhouse and the FXFOWLE telephone booth proposal both found new purpose for defunct elements in an urban environment. Afterhouse, by University of Michigan think tank ARCHOLAB, deconstructs houses beyond repair in Detroit to reuse the foundation for subterranean geothermal greenhouses. FXFOWLE redesigned the phone booth into both urban furniture and an interactive smart phone notification system while creating an identifiable neighborhood entity. 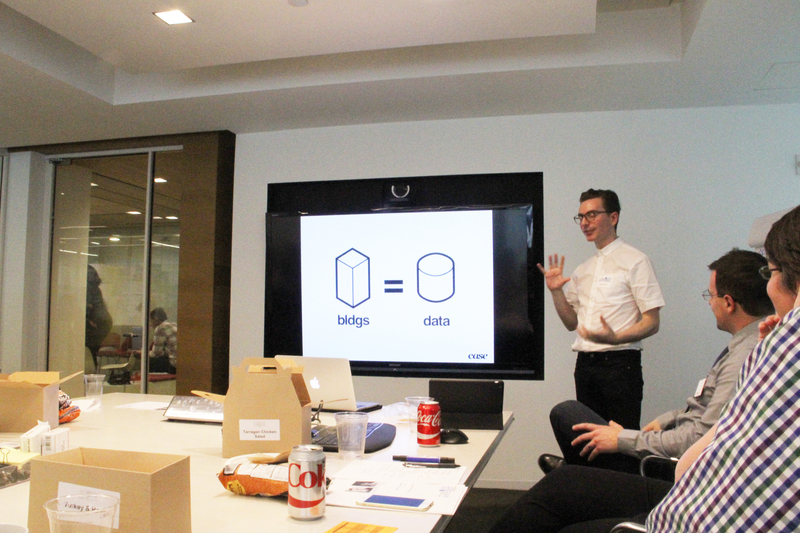 A Pecha Kucha style presentation followed the overview of the ARCHITECT magazine R&D awards. For the presentation each scholar was given thirty seconds to present a slide that represented their definition of innovation and/ or an industry trend impacts them personally or professionally. The range of topics varied from drones, photography, sanitation, smart phones, the renaissance, to the cancer pill. After the excitement of the Pecha Kucha exercise, Daniel Davis, Senior Researcher at CASE Inc., in the “Computation Design in Architecture” presentation discussed the use of technology to make better buildings. As a premise, he notes that productivity has increased 2.5 times in the last 50 years largely due to advances in technology, yet, the building industry has experienced a slower progress despite innovative products like laser cutters, drones, and 3D printing. Still, we are creating better buildings as a consequence of these advances and a clearer understanding of these products would greatly benefit the profession and cleints. Daniel highlights three technological innovation categories: Sensors, Parametric Modelling, and Building Analyticals. Sensors collect data which could be easily accessed by multiple platforms as “every architectural element is able to associate itself with data driven technology.” Parametric Modelling permits designers to develop complex shapes in a fraction of the time while allowing for multiple iterations of concepts simultaneously. “Technology changes the process as much as it changes the product.” Building Analyticals encourages the use of technology to collect all the data into a database to analyze and understand building performance. The scholars were presented with several examples of each innovation and given insight into the opportunities each provided in solving complex design problems and encouraged to think about how we can better understand architecture by collecting data in order to produce better buildings. Louie Sarracino, Project Executive, Josh Bronitsky, Project Manager of DPR Construction and John Tobin, Vice President of Operations, EYP Architecture and Engineering provided an overview of IPD: Integrated Project Delivery as an alternative to the traditional project delivery methods such as Design Bid Build. 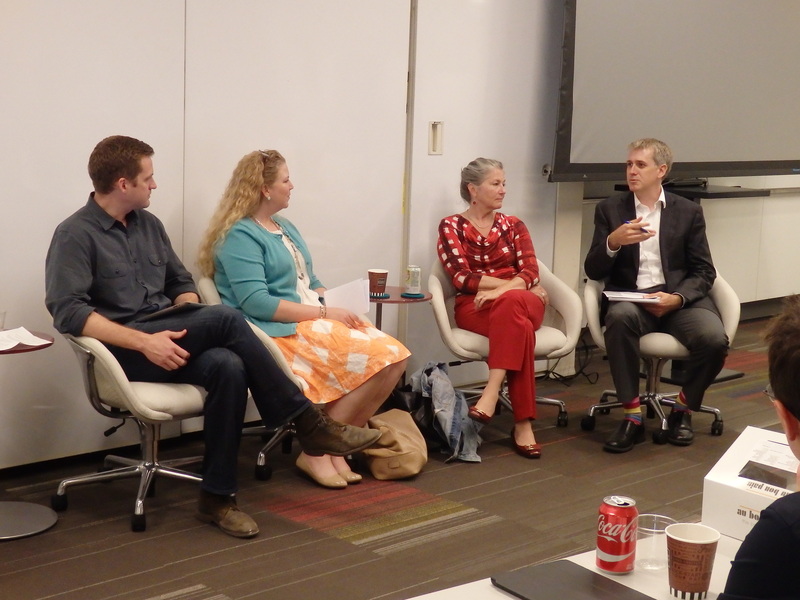 The presentations flowed into an interactive round table discussion. The overview was very informative to the scholars as most us work within traditional project delivery methods. We learned that with IPD the owner, Architect, General Contractor, major systems contractors, and Engineers, share responsibility in an interactive design build venture and that they sign a contract at the onset of the project that waives the rights to sue each other. The project begins with team building sessions, product research, shared goals, and a defined project budget before design even begins. During the project one BIM model is utilized by the team streamlining the process and sharing real time information. IDP is a project delivery method when the client has a locked down program at the onset of the project, it also creates more efficiencies for large scale projects. A benefit to all vested parties is that there is a shared profit pool. The net savings are distributed by percentage of invested team members. Aspects of IPD that may entice Architects are the challenge to think beyond the traditional roles of the Architect to become a building industry specialist and share in the profits when a quality project is delivered on time and under budget. 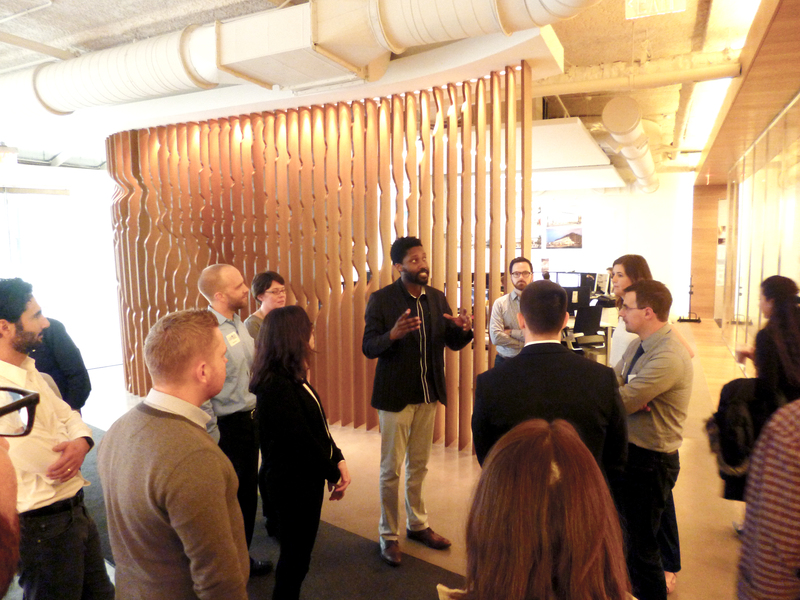 The presentation was followed by a tour of the Gensler office, beginning at the entry lobby on the first floor off the street, acquired after a restaurant tenant vacated the space allowing for a two story atrium-like space with grand staircase, a multi-use space, and a reception/café, espresso machines included. The walk flowed by the fabrication room housing 3D printers, laser cutters, and samples art pieces made by the designers utilizing this new technology to incorporate artwork into their projects. The scholars learned of the office configuration and collaboration spaces finalizing at the corner glass conference room for the final presentation. 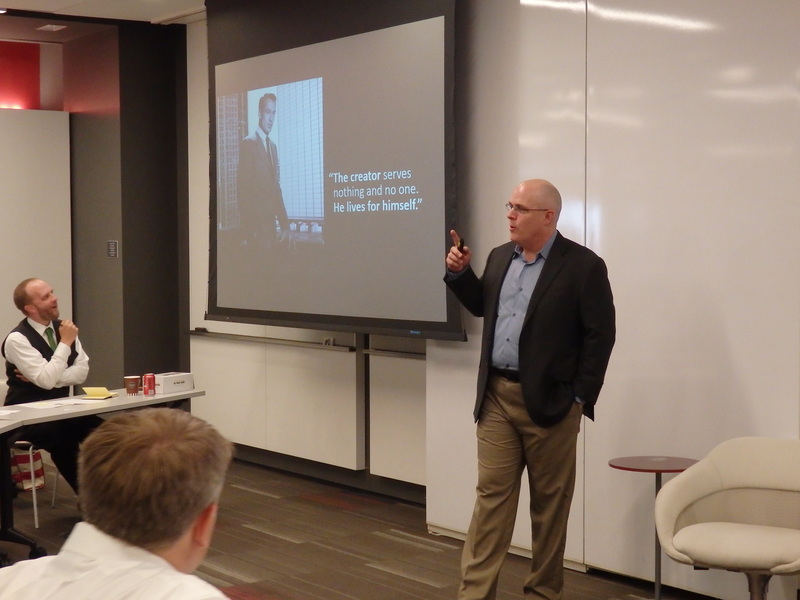 Carl Elefante, Principal at Quinn Evans and Mid-Atlantic Regional Director for the AIA National, concluded the day’s session with an energetic presentation about the AIA Sustainability Leadership Opportunity Scan. 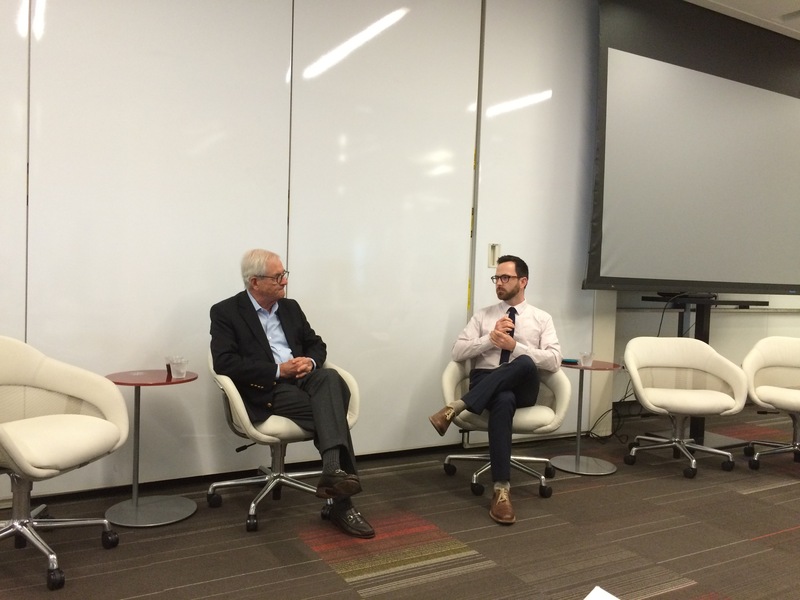 Carl emphasized “sustainability is one the elements of massive change” we are faced with today. 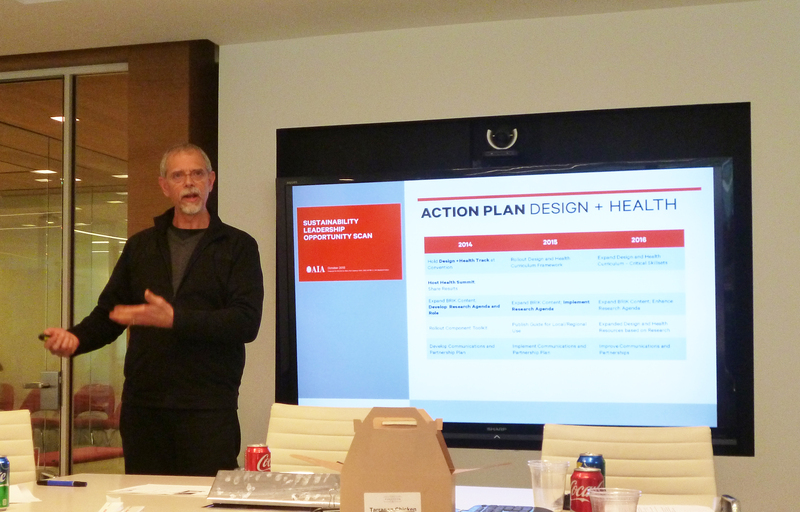 In order to provide the scholars with a better understanding of architect’s impact on sustainable progress, he presented the works of Edward Mazria, “2030 Challenge”, and Mary Ann Lazarus as an AIA Resident Fellow in Sustainability and Design for Health. Their efforts afforded the addition of 20 billion new construction yet added zero operational costs, noting also that the roadmap they had developed has a commitment to existing building stock which is a personal passion of the presenter. Mr. Elefante encouraged the scholars to think about the opportunities provided by the AIA and within the building industry where the “architect participates as leader” by reflecting on the question “how to be engage architects into leadership areas?” His enthusiasm was clearly contagious as he expressed “we have the ability and the tools to reach these goals. We just need to do it!” At the presentation’s conclusion, the scholars were visibly inspired and empowered to innovate and be the change the profession needs. 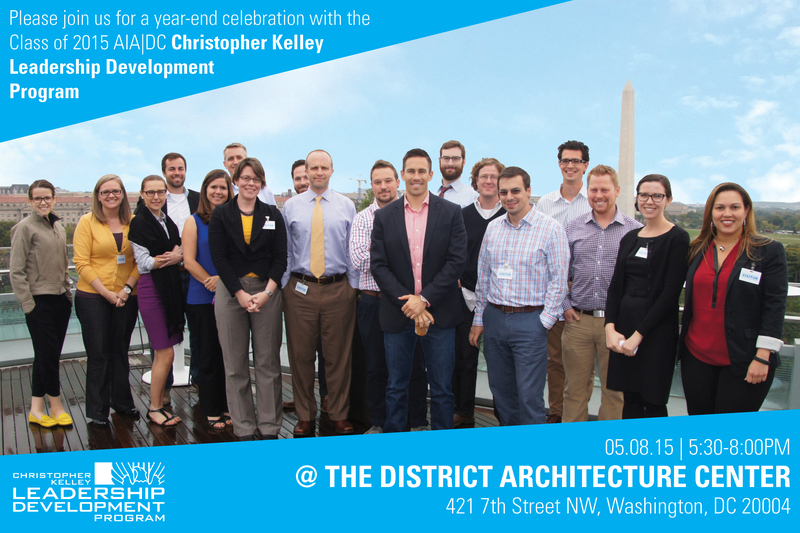 Please join AIA|DC in celebrating the second class of the Christopher Kelley Leadership Development Program at the District Architecture Center.